The hands free control (voice activation) allows you to wave your hand over the screen to change pages and you can even scroll up and down web pages with your eyes. The Moto X has a crystal clear 4.7-inch AMOLED display, a 10 megapixel camera with Quick Capture so that you never miss a moment and an impressive Intuitive Android KitKat operating system to name a few. The camera on this phone is excellent and able to take fantastic shots quickly without blurring the images. The interface is slick and it shoots quickly, making taking photographs with the Moto X simple and easy, it’s a great phone if you’re a fan of photography for blogging, social networking or just for the fun of it. The Moto X’s touchless control is perhaps the most outstanding feature and is sure to be a favourite choice amongst consumers. The Moto X is always ready so that you don’t have to wait around for it to catch up with your busy lifestyle. The touchless control responds to your voice instantly and opens up your device without the need for hands. The Moto X can search for anything you want on Google, set an alarm or get you directions or the weather in an instant and all with simple voice commands. 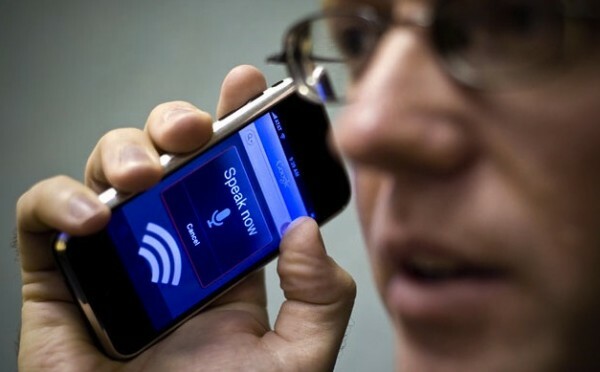 The phone responds clearly so it is easy for you to hear and comprehend the responding voice. The phone is capable of understanding you, no matter what your accent is so you can enjoy this feature without speaking like a robot in order to be understood. Is A Mobile Wallet the Right Choice for You? In 1999, PayPal was launched as the first Internet-based money transfer system. Since then, mobile phones have become the new wallet and the number of apps that make this e-shift possible are growing by the minute. Now, mobile banking has moved into cloud-based apps like Square Wallet and LevelUp that allow smart phone users to sync their bank accounts and pay electronically in the real world. Using your “mobile wallet” to pay for items instead of using actual credit cards allows you to lighten the load of your real wallet and, more importantly, cuts down on your risk of identity theft in the event you lose your wallet. If you lose your phone, at least you know it has a security lock in place (if you’ve set it) and you can also call your phone company and have it shut off. Paying for the items is usually quicker, moving you and the line behind you through faster. The method of payment stays with the customer, making it harder for anyone trying to swipe your identity information by peering over your shoulder. Lightens the load of physical credit cards and cash on hand. 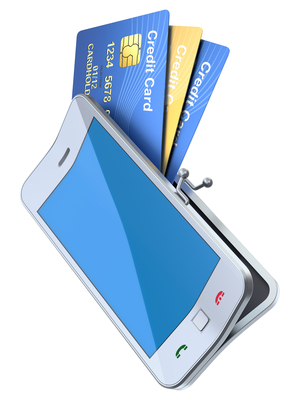 Businesses that cater to mobile wallet users can reap the benefits, as well. Just as the mobile wallet user enjoys a faster line and more secured method payment, so too do the businesses. Faster lines mean happier customers and strengthening security on identity theft by installing mobile wallet user-friendly technology is always good business. It also cuts down on the amount of actual cash a business must handle daily. The most unique feature with businesses using mobile wallet technology is the ability to use market strategies through the mobile wallet apps with transmitting and redeeming loyalty offers. According to the U.S. Department of Justice, the number of identity fraud victims annually in the U.S. is 11,517,900, costing a person an average of $4,930. Surprisingly, it’s the younger mobile users between the ages of 18 and 24 that are most affected by identity theft at 8.5 percent. Thus, if you fall in that age range and plan to use your mobile phone for financial transactions through mobile wallet apps, you should absolutely strengthen the security on your phone as much as possible. If your mobile phone PIN/keylock code isn’t enough to make you feel at ease, systems like LifeLock can provide monitoring and scanning for threats and quick notifications when there is a security breach. Like credit card payments, mobile phone payments are protected, so if your monthly statement is showing unfamiliar expenses, you should still alert your credit card company as soon as possible. Something else to consider: mobile wallet technology is new and still somewhat “in development.” Not all businesses or credit card companies are willing to switch and not all smart phones support the applications. However, while it may not be widely accepted yet, the convenience and maximum security features that come along with having a mobile wallet are pushing consumers to reconsider and the businesses are sure to follow.